Quickfire Review: The Rover (2014) – Dude, where the f*%k is my car? – Hooray For Movies!! Synopsis: 10 years after a global economic collapse, a hardened loner pursues the men who stole his only possession, his car. Along the way, he captures one of the thieves’ brother, and the duo form an uneasy bond during the dangerous journey. 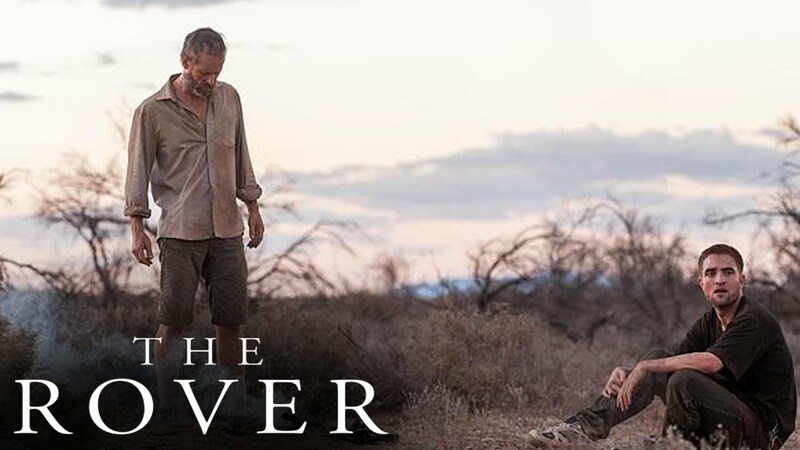 Joel Edgerton may not be as entertaining to the tabloid press as his countryman Russell Crowe but the Aussie actor shows with his sophomore screenwriting effort, The Rover, that there is room for more than one Antipodean renaissance man in Hollywood. Along with previous collaborator David Michod (Animal Kingdom) on directing duties Edgerton’s story is set in the dusty, barren Australian Outback 10 years after a financial apocalypse has driven the country into a modern day Wild West. Stoic, troubled and almost monosyllabic drifter Eric (Guy Pearce) finds himself embroiled in a quest to recover his car after it is stolen by a team of criminals led by an American (Scoot McNairy). Although it is not clear for the most part why the car is so important to him Eric tracks and kills anyone standing in his with little emotion other than quiet rage. To add complication to his quest he is accompanied by McNairy’s slow witted brother Rey (Robert Pattinson) who was left behind by his brother to die. The Rover is at it’s core an old school western. Switch post-apocalyptic Outback for 1870’s Western America and Pearce for Clint Eastwood and the premise would fit perfectly. Edgerton and Michod build a sense of palpable tension and disquiet through using minimal dialogue, a featureless landscape and circulation of surreal supporting characters. The stark visuals are complimented by Antony Partos’s unnerving, discordant and ubiquitous score. Pearce is as reliable as you would expect, giving a performance so intense I though his head might explode from suppressed anger. It is Pattinson’s performance however as the misguided and conflicted Rey that is the standout, marking him as an actor who is more than the face of a franchise.